Cannabidiol (CBD) is one of over 80 naturally occurring cannabinoid compounds found in the Cannabis plant. Cannabis is an umbrella term under which there are a number of species including Hemp and Marijuana. The cannabinoid compound THC (Tetrahydrocannabinol) is the most prevalent type found in Marijuana and is responsible for the ‘High’ or psychoactive response provided by its use. CBD (Cannabidiol) is the second most prevalent compound in Marijuana and the most common compound found in Hemp. CBD is none psychoactive and does not provide the ‘High’ associated with THC. Our bodies have a network of neurones called the endocannabinoid system (ECS). Endocannabinoids are effectively messengers that keep the body regulated by telling important processes when to start and when to stop. The endocannabinoid system runs throughout the body including all major organs, connective tissue, glands and the immune system. However, it is the brain and central nervous system where the ECS receptors are most densely populated. CBD works by helping to prevent the enzyme FAAH from breaking down endocannabinoid. This means that the bodies naturally occurring cannabinoids are more numerous and are therefore more effective. CBD can be used to help with a variety of conditions that traditional medicine can sometimes fail to address. As the ECS runs deep into our bodies, touching all our major systems, CBD can do so many things to help us. It has been shown to regulate moods, reduce pain and help with eating disorders by stimulating appetites. CBD will not make you intoxicated or get you high, but it will open your receptors to stimulate a variety of changes. Medical researchers are continually discovering more potential benefits of using CBD to treat medical conditions. All our products are sold as supplements to help promote wellbeing. CBD is still relatively new, and although initial research has been very positive regards treatment of a wide range of illnesses we recommend carrying out your own research before taking CBD. Cancer Therapy – CBD and other chemicals from the cannabis plant have been found to have an anti-tumour effect. Studies have shown that CBD stopped cancer cells from multiplying in multiple different cervical cancer cells. It also increased the death of tumour cells in leukaemia and colon cancer. CBD’s anti-tumour agents and active cancer cell killing properties provide a great deal of hope for the treatment of many different cancers. Anti-Inflammatory – CBD can reduce inflammation as it contains anti-inflammatory properties. The CBD binds with the body’s endocannabinoid system that reduces nerve inflammation. Making CBD a great benefit to people who suffer with chronic pain. Studies so far have demonstrated that due to the anti-inflammatory properties of CBD, it has provided relief from both joint pain and swelling of people suffering with Rheumatoid Arthritis with no serious side effects. 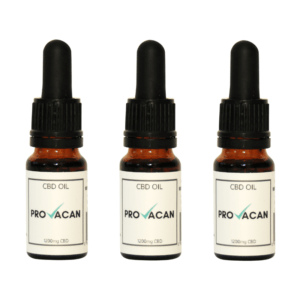 Reduces Anxiety – Studies have shown that patients who use CBD felt calmer and more able to cope with situations that would ordinarily cause a great deal of stress and anxiety. 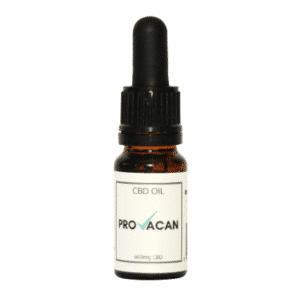 Research has suggested that due to the neurological impact of CBD, other disorders such as post-traumatic stress disorder, panic attack and obsessive compulsive disorder may benefit from treatment with CBD. Help with Epilepsy and Seizures – CBD offers a promising therapy for those suffering from epilepsy that has become resistant to other treatments. In a survey carried out by Stanford University, 84% of parents reported that their child had fewer seizures while taking CBD. Those same children also experienced increased alertness, improved mood, and better sleep. While a few had a side effect of fatigue and drowsiness. Insomnia – So far, subjects that have been using CBD at bedtime have reported greatly improved sleep patterns. 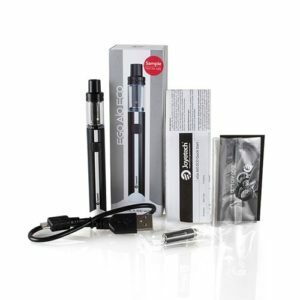 Quitting Smoking – Research has shown that when vaping with CBD for a week, the cravings for nicotine were greatly reduced and the number of cigarettes smoked decreased by 40 %. Protection against Neurodegenerative Diseases – CBD has been found to prevent toxic effects in the brain that lead to brain cell death. It is also a great antioxidant. It may also protect the brain cells from beta-amyloid toxicity which gives it potential as a therapy treatment for Alzheimer’s and Parkinson’s. There is also potential for it to protect the brain against reduced blood flow (ischaemia). Due to the way that CBD interacts with your neurological pathways, there is potential for many benefits. Reducing Nausea and Vomiting – Researchers found that low doses of CBD were helpful in reducing Nausea and vomiting in animals, but higher doses increased the risk. Increase Appetite – The National Cancer Institute claim that CBD can increase your appetite by binding with the cannabinoid receptors in your body. This has potential to help both cancer patients who find it hard to eat after treatments and patients with food sensitivities and eating disorders. Relief from symptoms of Multiple Sclerosis – When combined with THC patients have been found to have effective treatment of muscle tightness, pain, trouble sleeping and incontinence. Therapy for Schizophrenia – So far, scientists are unsure as to the exact reason why CBD has helped with some of the symptoms of schizophrenia, but it is thought that CBD has similar properties to the anti-psychotic drugs used to treat the condition with fewer side effects. Heart Health – Studies carried out on animal subjects are proving positive in the health of the heart. CBD caused arteries to dilate and protected blood vessels from damage. It also reduced the amount of damage caused by clogged vessels in the heart and brain and helped with irregular heart beats. CBD can reduce the heart rate and blood pressure when a person is in a stressful situation. It has also been found that CBD can help white blood cell function and platelet aggregation, thereby leading to a healthier supply to the heart. Diabetes – Marijuana has been associated with lower fasting insulin levels and smaller waist circumferences which are factors connected to the onset of diabetes. CBD tested on mice has reduced the development of diabetes by 86% in young non-obese mice. CBD can also inhibit and delay the breaking down of insulin-producing pancreatic cells as well as the production of inflammatory cytokines in diabetics. Reducing Dyskinesia (involuntary movements) – Combined with the TRPV-1 blockers, CBD was found to reduce the symptoms of dyskinesia in animals tests. Depression – The anti-depressant effects of CBD have so far proved to be fast acting and effective when used over a period of time. Inflammatory Bowel Disease – CBD may help to prevent colitis, but has yet to be tested on humans. It may also help reduce inflammation and relieve the symptoms of IBD. The hope is that CBD will assist with normalising gut motility for IBD sufferers. It may also be able to reduce severe inflammation of the gut. Protection Against Bacteria – There have been some signs of antimicrobial activity when using CBD to combat MRSA. As this is a bacterial infection that is hard to treat, this is definitely a positive step. Mad Cow Disease – CBD inhibits prions which are the proteins that cause fatal neurodegenerative diseases like mad cow disease. Bone Growth – Studies have shown that rodents with broken bones, that were treated with CBD, healed much quicker. Substance Abuse – CBD has the potential to reduce the rewarding effects of Class A drugs such as heroin and morphine. Acne treatment – CBD has an anti-inflammatory effect on the sebaceous glands which could prove as a useful treatment of acne. Psoriasis – As CBD reduces the growth of skin cells (keratinocytes), there is potential for its use in the treatment of psoriasis. Success, you have been subscribed!